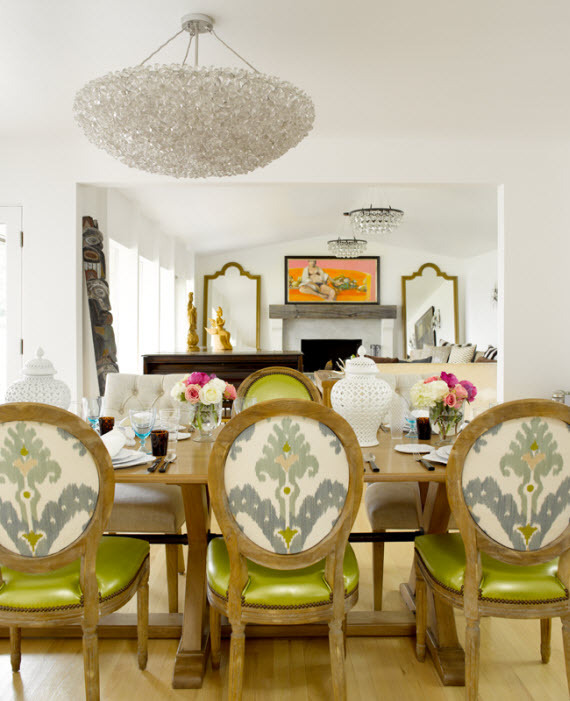 In 2003, Seattle based and self-taught decorator, Graciela Rutkowski was named one of House Beautiful’s America’s Top Young Designers. I first saw her work published on blogs and pinned on Pinterest and became an instant fan of her classic style with a fresh twist. Graciela combines old and new effortlessly and makes you believe that the process evolved over time. Each space is inviting, unique and beautiful. I’m thrilled to be interviewing Graciela today! Simplified Bee: When did you know you wanted to be an interior designer? GR: I’d like to say casually elegant. Classics with a bit of modern thrown in. GR: I should probably throw out a really pretentious sounding artist that I came across, but I love collaborating with contractors and tradesmen, I know this doesn’t sound very glamorous, but they are the people actually building the things we imagine, they work with the materials all day long and have so much experience. I’m always amazed at the skill level, dedication and the patience that they have to complete a job beautifully, true artisans always make me look good! GR: Yes! 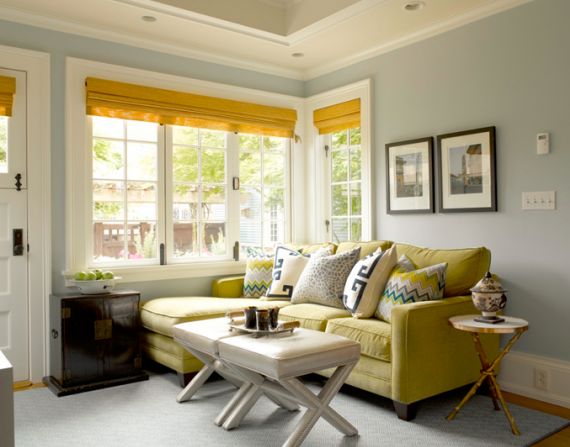 My favorite paint – especially for the northwest is Benjamin Moore, Revere Pewter, It’s a warm grey color and looks great against white trim. It’s one of those magic colors, that take on the characteristics of what is around it. So if you’re not sure if your palate will be grey or beige, it will work with either. 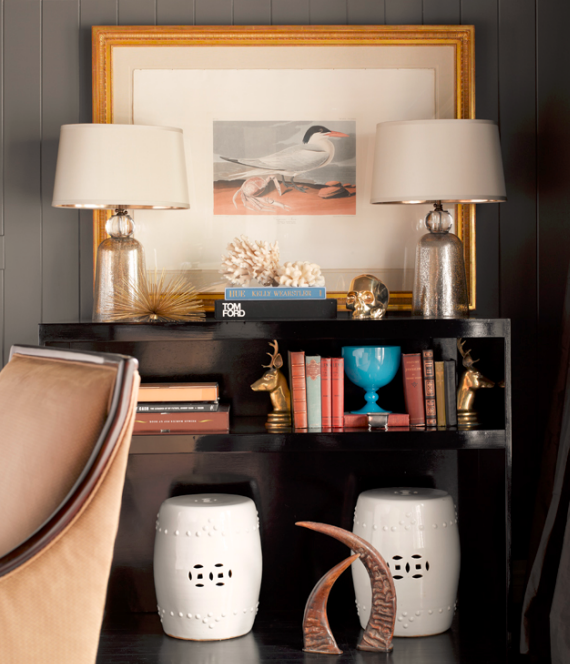 Hale Navy is a great navy – also by Benjamin Moore. Racoon Fur is a great dark grey/black, it looks especially nice on metal. Pratt and Lambert Seed Pearl is a beautiful white for trims. I also love BLACK. I joke with my painter that my house is slowly getting painted black, my dining room has black walls, as well as my sun room, and all the doors are slowly getting painted black also. Maybe I’ll get to the end, then start all over again, lightening it all up again. 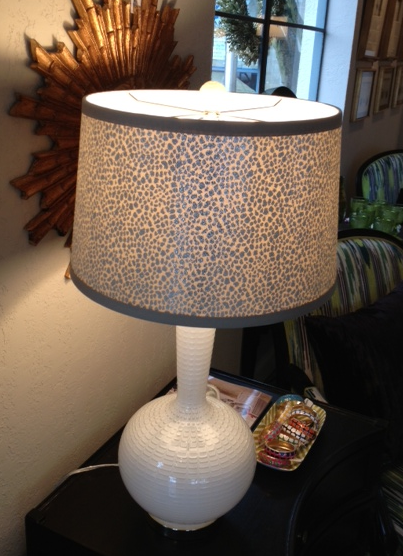 GR: I think the classic tried and true will always be around, leopard prints are always fun and add a bit of glamour. Lucite, fur, I love painted furniture, in a single solid shiny color. I hope color stays around, I can’t stand a room without it. Even if it’s just a pop here and there. Oversized airplane part furniture – hmmmmm? Too much of the industrial look. Mustaches? I’m sorry, I don’t get it , maybe I’m too old. 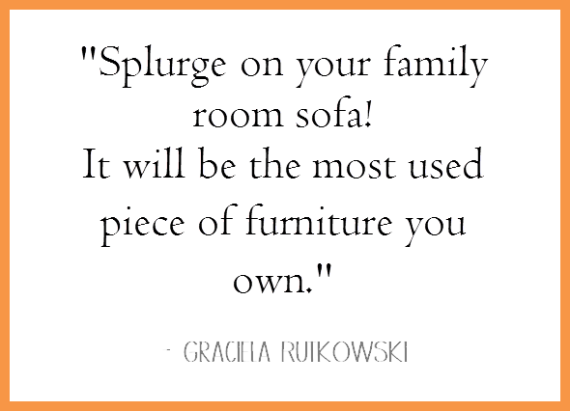 GR: Splurge on your family room sofa! It will be the most used piece of furniture you own. 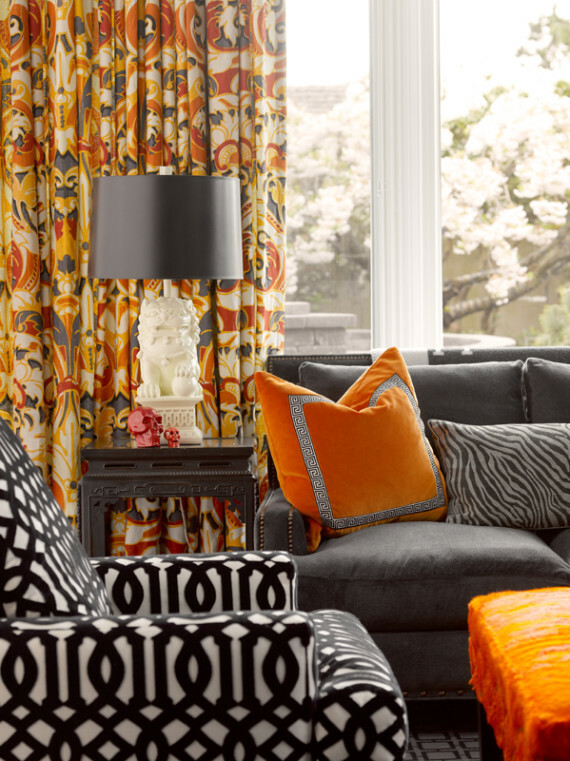 Splurge on pillow fabric. Not everyone can afford Fortuny drapery, but give yourself a little luxury and buy a few yards for pillows, they are like fantastic earrings on the little black dress. Splurge on fine linens for your bed. You will never spend as much time as you do in your bed, and they touch your skin, splurge on the best sheeting and have some pretty embroidery or monogram put on them, it’s not as expensive as you think. 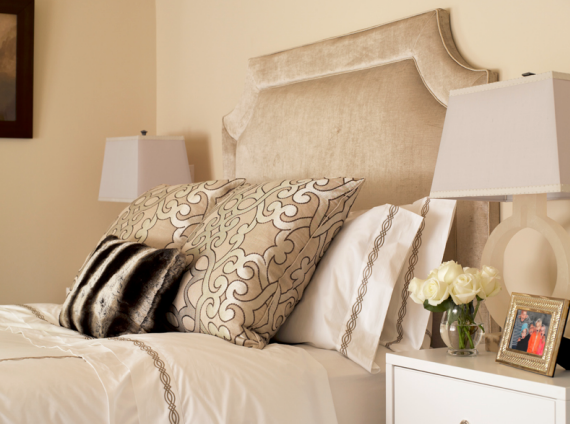 Don’t be fooled by thread-count, it doesn’t mean anything. Go for what feels the best. Save on the custom tiles, there are so many fantastic designs and creative ways of using existing designs, unless it’s a very personalized design I’m not sure when I would use it. Save on the furniture in your bedroom. I know, we all want to think we will use that beautiful Chaise, but it’s probably going to just hold clothing. 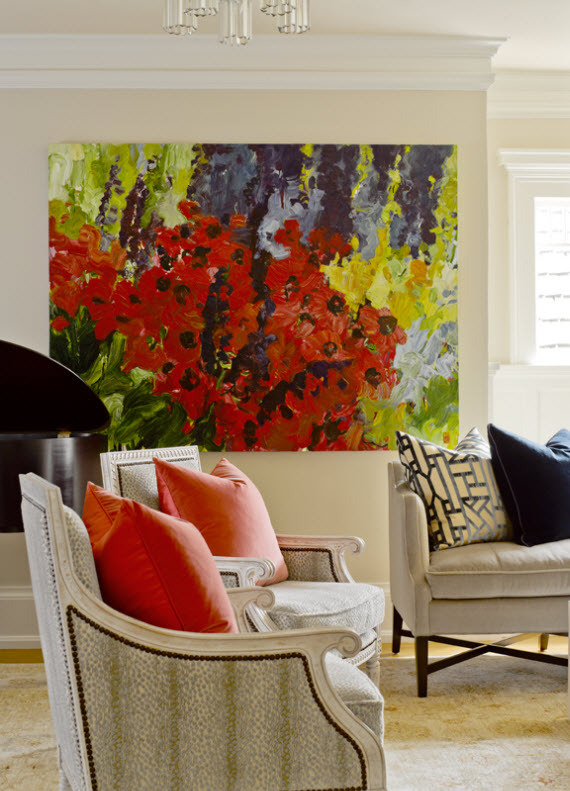 SB: What’s next for Graciela Rutkowski Interiors? GR: We recently opened our first retail store near my home in the University District of Seattle, I’m hoping it becomes a fun place for people to stop in for inspiration whether it’s furniture, accessories or a fun gift. 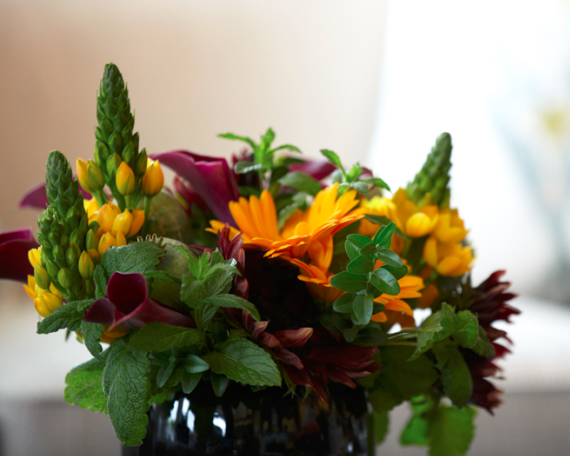 Flowers are in our future – we are expanding to offer special events and seasonal floral in our store. We had a lot of fun this last Christmas with greenery for the home. Customers could pre-order their wreaths and Catherine our fabulous floral designer was there during pick up and she embellished the wreaths with ornaments, ribbon, birds, and other fun accessories. It was so much fun and we loved the fun holiday feel. We’re hoping to offer more seasonal quick pick ups for mothers day, birthdays etc. We are also working on offering our store online, that’s a giant project, but hoping to have it up and running later this year. We also have expanded our studio offices and should be opening in Mid March, we’ve moved around from my tiny basement to the store to now, our new offices. – yes we have leopard carpeting! Thank you Graciela for sharing your time, expertise and inspiration!